The House of Cartier was founded in 1847 by French jeweler Louis-Francois Cartier. During the company’s early history, Cartier created magnificent jewels — including jeweled pocket watches and opulent brooch watches — for royal families around the world. 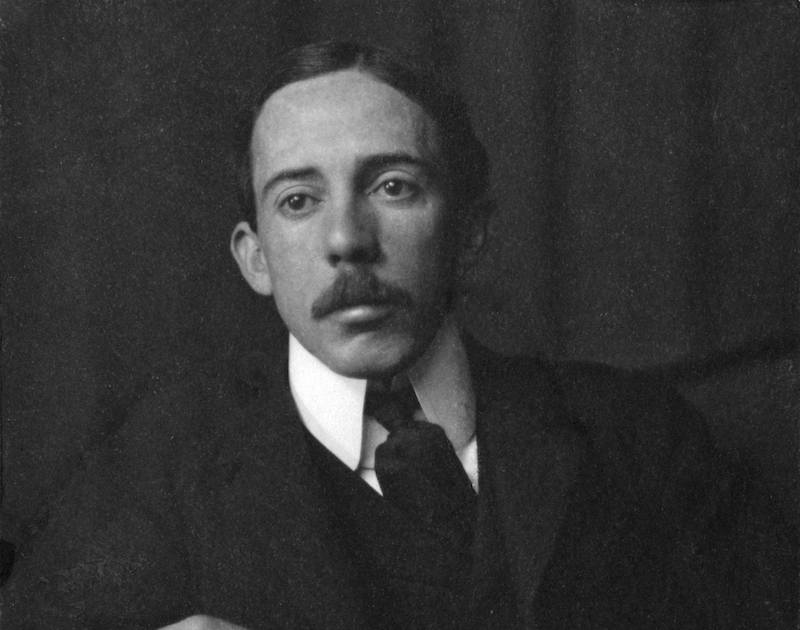 At the turn of the 20th century, modern aviation was starting to take flight and a friend of the Cartier family, Alberto Santos-Dumont, would forever change both the aviation and watch industry. The House of Cartier was founded in 1847 by French jeweler Louis-Francois Cartier. Santos-Dumont was a pioneer in aviation who designed, built, and flew a number of hot air balloons, dirigibles, and eventually aircrafts. He rose to fame in 1901 after he won the Deutsch de la Meurthe Prize for his dirigible flight from Parc Saint Cloud in Paris to the Eiffel Tower and back in less than 30 minutes. Santos-Dumont was from Brazil but lived in Paris and it was here that he developed a friendship with Louis Cartier – the grandson of the Cartier founder and heir to the luxury Cartier collection. Santos-Dumont found it very cumbersome to keep track of flight times with a pocket watch as he needed to keep his hands free to steer his aircrafts, so he requested that Cartier make him an alternative. In 1904, Cartier answered the request with a small watch outfitted with a leather band to be attached to the wrist with a buckle – signaling the birth of the first ever pilot’s watch, another watch intended for the military, the Cartier Santos. From that moment on, Santos-Dumont never took another flight without his Cartier watch. The Santos watch is a Cartier classic and remains as one of the brand’s flagship models. Distinguished by its rounded square case, square bezel with exposed screws and Roman numerals, there have been countless models of the Santos over the years for both men and women. This particular Cartier Santos ref. 1564 sports a 29mm case and is constructed entirely of stainless steel. The discreet size of the Cartier Santos ref. 1564 is suited for both women or men who prefer a more restrained wristwatch. These are popular models for those looking to sell Cartier watches on the pre-owned market. The Cartier Santos ref. 1564 is a pilot’s watch. On the dial, we see the characteristic blue Roman numerals, center sword-shaped hands, and a date window at 6 o’clock. 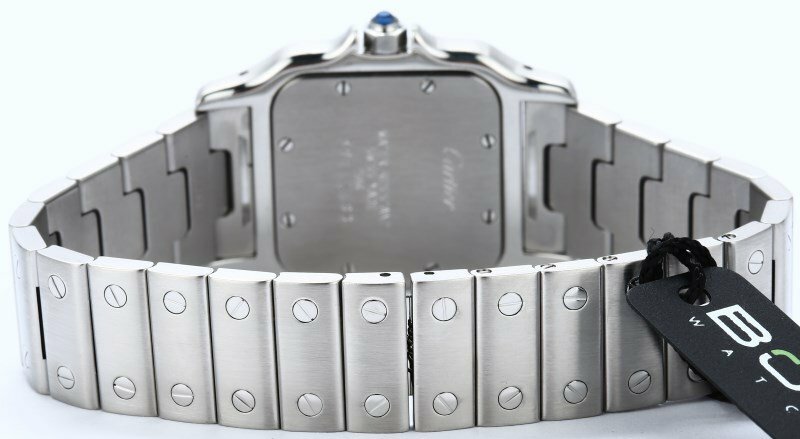 The eight screws on the bezel are matched by the screws on the integrated metal bracelet equipped with a double folding butterfly deployant clasp. The crown is topped by another classic Cartier design element — the blue spinal cabochon cut sapphire. The three-hands and date function of the Santos ref. 1564 is powered by a quartz movement for very accurate timekeeping. 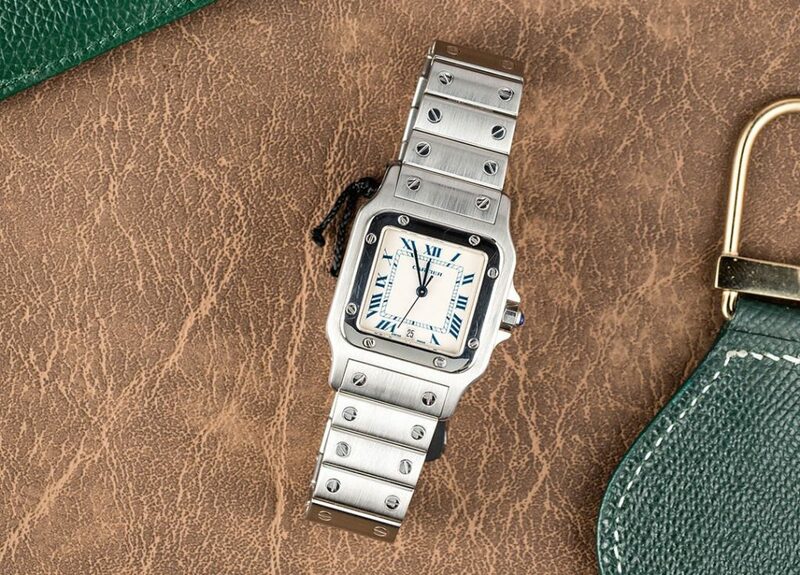 Cartier Santos one of the very first watches for a pilot. 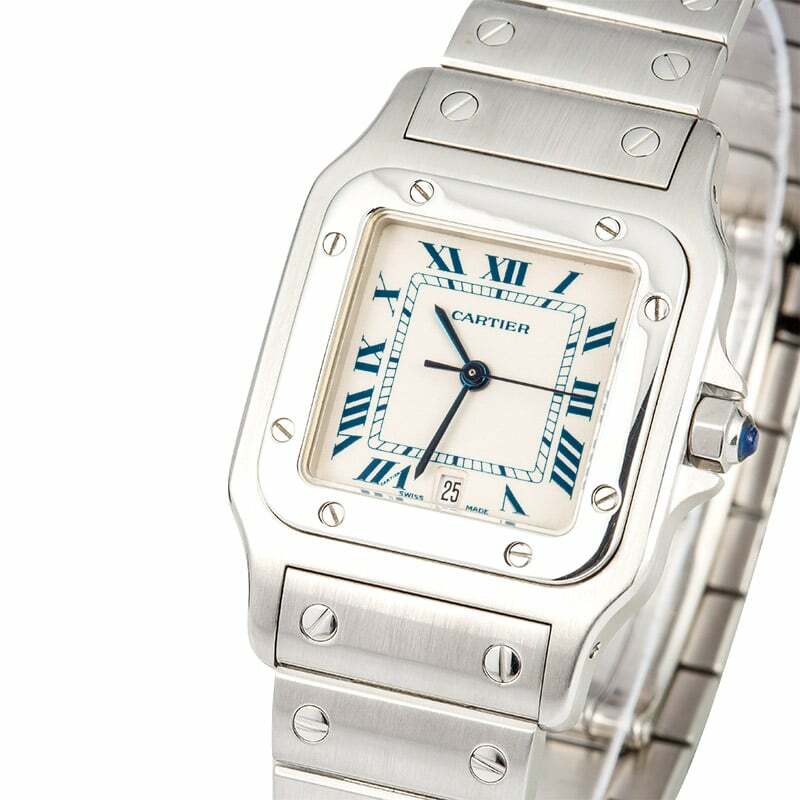 As one of the very first wristwatches ever created and the first pilot’s watch, the Cartier Santos was a significant milestone in the history of horology. The fact that it continues to be one of Cartier’s most popular models today illustrates its timeless appeal and respected heritage.